Apple and Visa have been sued by a small company based in Boston this weekend, which claims that Apple Pay violates 13 patents that it holds related to digital payment systems and user authentication technology. The company behind the lawsuit, Universal Secure Registry, filed the complaint in a Federal District Court in Delaware on Sunday (via The New York Times). According to the filing, USR chief executive Kenneth Weiss "was the first in the space, and the secure payment technology that he developed goes right to the core of Apple Pay." Specifically, Weiss' company is claiming that the 13 patents include details on authentication systems embedded in smartphones, biometric ID confirmation through fingerprint scanning, and the generation of secure, one-time-use tokens in financial transactions. According to Weiss, he had "extensive meetings" with Visa in 2010 that centered around working together to introduce a mobile payments system into smartphones, which allegedly lead to Visa signing a 10-year nondisclosure agreement with Weiss and his company to be able to use the technology. Weiss said that Visa eventually "dropped further communication without securing a license," and that any inquiries he wrote to Apple in asking the Cupertino company to license his technology were never answered. Then, Visa began working with Apple on a partnership that eventually lead to the debut of Apple Pay in 2014, which the lawsuit claims to have been built with the "willful infringement" of USR's patents. Weiss is now seeking damages in relation to Apple Pay and Visa's alleged patent infringement, represented by Quinn Emanuel Urquhart & Sullivan, which advised Weiss to file a suit before seeking a license agreement or royalties from Apple or Visa. 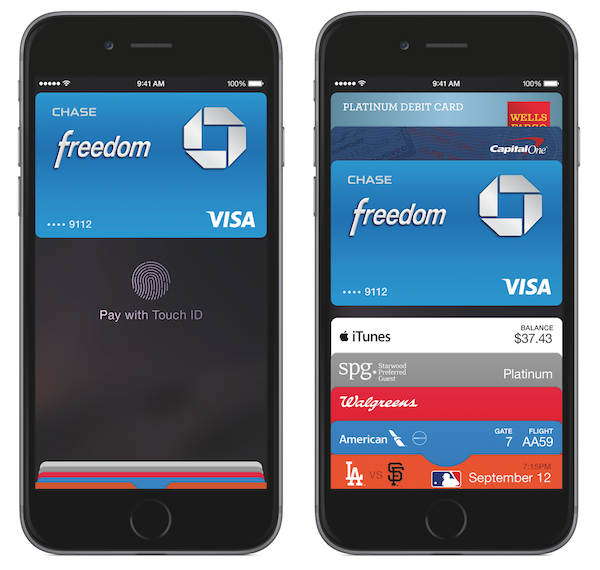 This suit seeks unspecified damages, but details the scope of the infringement, claiming, "since 2014 Apple's backend servers and Visa's payment processing network VisaNet, including Visa Token Service, have supported and processed transactions made using Apple Pay, including billions of Apple Pay transactions made in the United States." "It is not uncommon for large companies to be unresponsive to outside suggestions for innovation or improvements to their product or technology," said Weiss. "Occasionally, these companies infringe patents and force a patent owner to file a lawsuit as the only way to financially benefit from the technology he invented." Weiss founded Security Dynamics and invented the RSA SecurID token system, which is used to secure and authenticate important data sent by major companies, banks, and multiple branches of the United States government. USR is said to hold a portfolio of Weiss' patents related to the new lawsuit, and also including a few pending applications and foreign patents he has filed dating back to 2000. What about Android Pay and Samsung Pay? A friend of a friend once shared a story where they created a certain technology and met with a major company, the leader in that space, about licensing it for their products. Similar NDA's were signed. Eventually communication ceased and less than 2 years later this company included a remarkably similar technology in one of its releases. It took a decade in courts before a settlement was finally reached and the creator suffered terrible financial hardships in this time. I abhor the idea of patent trolls and the patent suits we normally hear about (Qualcom and Apple, Apple and Samsung, etc) but I also hate the idea that major companies by coincidence or design are meeting with real innovators and stealing their ideas and possibly their hard work. My guess is that Apple et al found a way to do the same thing with different means to bypass the patent. All the patent covers is what the patent explicitly says. It doesn't prevent someone from achieving the same ends by different means. I loved how he waited 3 years to do this. Did you read the article? Visa allegedly discontinued communication and Apple allegedly never responded to request for licensing terms. There's no profit in that. Much easier to go for the hefty slice of delicious Apple pie, especially as the media will inevitably jump on board the story. Then, Visa began working with Apple on a partnership that eventually lead to the debut of Apple Pay in 2014, which the lawsuit claims to have been built with the "willful infringement" of USR's patents. Also, do we know if Alphabet or Samsung already license the patents? I mean, that could be the reason they aren't party to the lawsuit. Couldn't it? It's not like either company is short on cash. There needs to be a lawsuit against Weiss' flagrant abuse of '90s web design. Three years is about right for initiating a lawsuit; rather quick, in fact, given that he (correctly) first attempted to get Via and Apple to resolve this amicably. Then, he had to hire the lawyers and develop the case. How long has it taken you to initiate lawsuits against major corporations-- in your experience, does this seem too long? Yes, but this wouldn't limit a payment system that used different means. I'm sure they did plenty of patent searches and such as part of the process. And in the US it says equivalents applies only to limitations and not the invention and must be insubstantial. This is why the lawsuit was filed. We don't know. That's to be decided by the courts or a settlement. No assumptions can be made regarding liability since there's no opposing information on Visa/Apple's stance. As to Apple having patents? Irrelevant unless those patents counter the claims in the lawsuit. Just having patents is not a defense against infringement.